You wanted promotional tech items, well you got them in the form of the WISO Personal Safety Notification Alarm. I honestly have not seen anything like this before, in promotional or retail markets. Take a look at the video, but basically this is a 21st century alert whistle, with crazy perks. 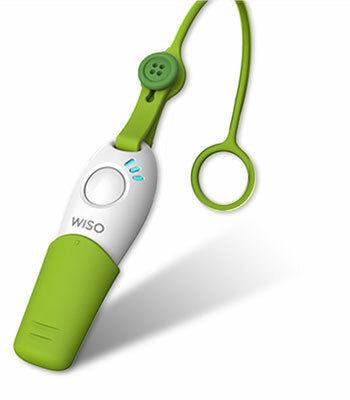 Once you blow into the whistle, or simply press the button on the WISO Personal Safety Notification Alarm, the WISO will automatically call, text message, and email out an alert that you are in need of help. Plus it is really loud. I love this idea for any campus safety program, or freshman orientation program. Also an idea for runners, campers, hikers, and sports team coaches and referees. The imprint area on the WISO Personal Safety Notification Alarm is 1″ by 3/4″. According to the manufacturer, they come in a number of colors accents, such as lime, blue, aqua, and black. Custom colors are possible on larger order over 1000 units. or blowing into the whistle. Please contact us at info@proformagreen.com if you would like more information on the WISO Personal Safety Notification Alarm.